Whatever your courier needs maybe we can guarantee you full satisfaction. Our prices for parcel to Cape Verde are unbeatable in the market. Besides this we also provide special discounts on prices for heavy packages to Cape Verde. We have a team of young and enthusiastic members who are always ready to go the extra mile to work for each client individually to their satisfaction. We also provide you with live online assistance through our website.We take the utmost care of your parcel from its pick up till its delivery. We help you get the peace of mind that your parcel is in safe hands by giving you an online tracking no. to trace your parcel throughout its delivery.We also have door to door service which saves your time of dropping the parcel in our office. Call us now to book your shipment for Cape Verde. 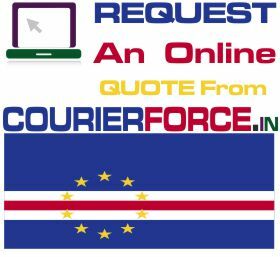 Courier To Cape Verde – Courier Charges from Mumbai to Cape Verde. 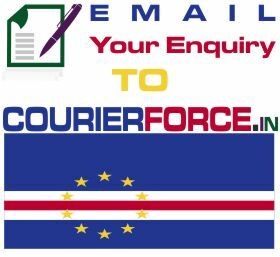 Prices below are door to door courier rates to Cape Verde from Mumbai. These charges are cheapest in India for sending courier to Cape Verde from India. This is by a courier company which is the best in industry for parcel services to Cape Verde. 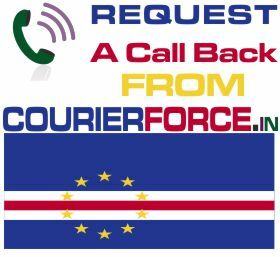 Again, Courier Force is one of the very few companies who have their own network for distributing parcel in Cape Verde. It will take anywhere between 3 and 6 working days to deliver your parcel to Cape Verde from India. We will be simply collecting the parcel from your business or residence in India and delivering it to your destination address in Cape Verde. Duties, taxes and customs charges if any (in Cape Verde) will be additional.